Date of birth unknown. Disciple of Segawa Kikujirô I. He received the name of Segawa Kikusaburô I. He was patronized by Iwai Hanshirô III when his master went to Edo in Fall 1743. He settled in Kyôto in Fall 1756 and became zamoto and wakaonnagata. 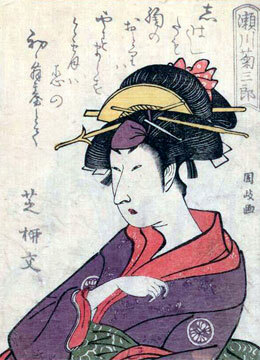 He was a successful tateonnagata in Ôsaka hama shibai during the 1760s and the 1770s. He went to Edo in Fall 1785 and performed at the Kiriza in the kaomise drama "Otokoyama Furisode Genji", which celebrated the shûmei of Bandô Mitsugorô II. He appeared on stage for the last time in the 1st lunar month of 1788, performing at the Kiriza in the new year drama "Keisei Natori Soga". He died the 29th day of the 3rd lunar month of 1788. He was the grandfather of Segawa Kikusaburô II. The actor Arashi Rikô I held the name of Segawa Kikusaburô II from 1790 to the 7th lunar month of 1801. Dates of birth and death unknown. Most likely a disciple of Segawa Kikunojô V (?). 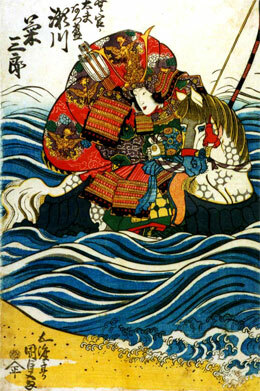 He was active in Edo from the end of the 1820s to the beginning of the 1840s. His career was quite obscure.